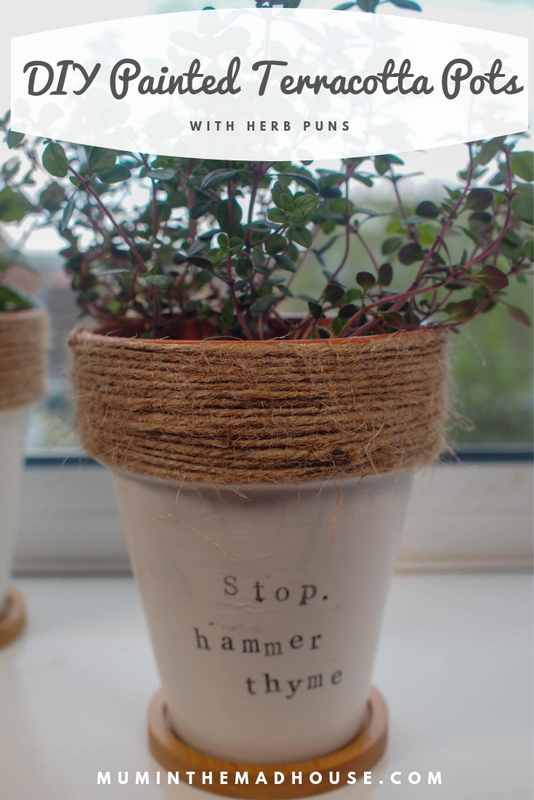 These DIY painted terracotta plant pots are super simple and inexpensive to make. 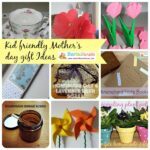 They would make the perfect handmade gift for Mother’s Day, teachers gifts or even a house warming. 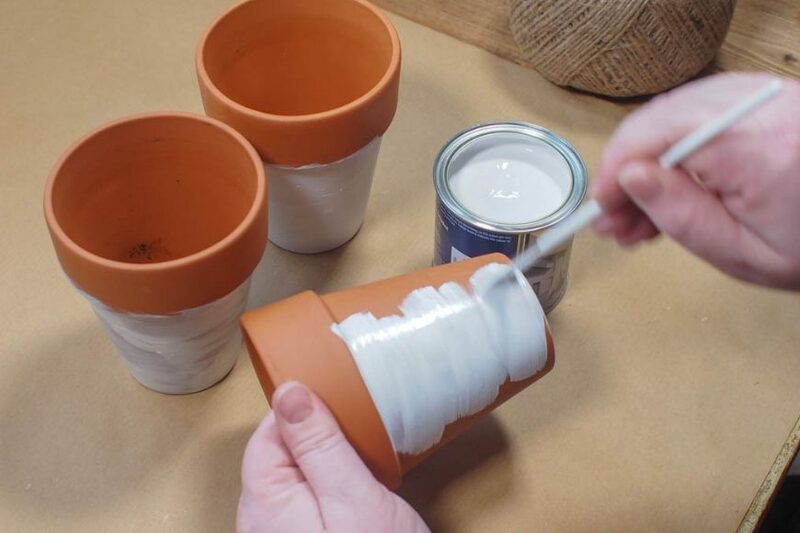 Paint your pots with your chosen paint. I prefer using thin layers. I used three and let it dry in between so I had a good coverage. 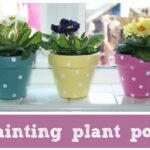 We used weathersheild paint as I had a tester pot in the garage, however, we have used acrylic paint or even emulsion previously. 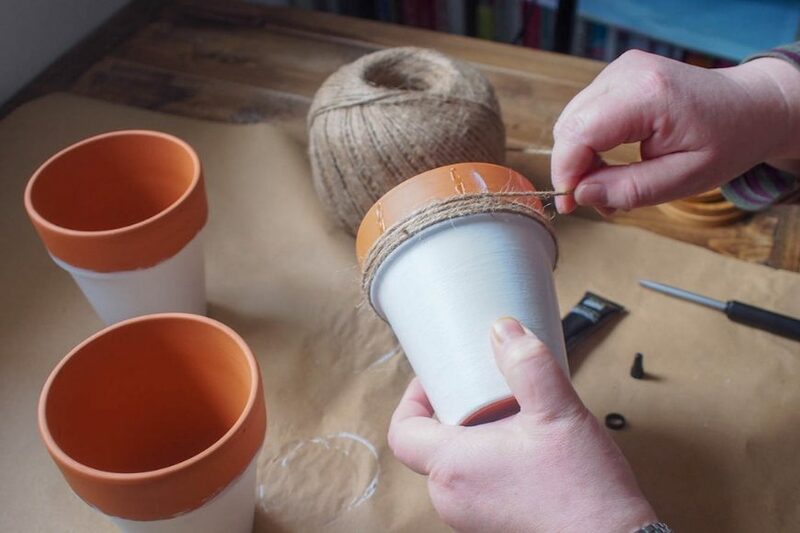 Once dry it is time to add the twine to the top of the pot. 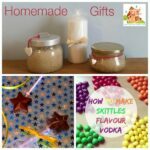 Add a dab of glue at the beginning and then keep adding the glue as you add the twine. 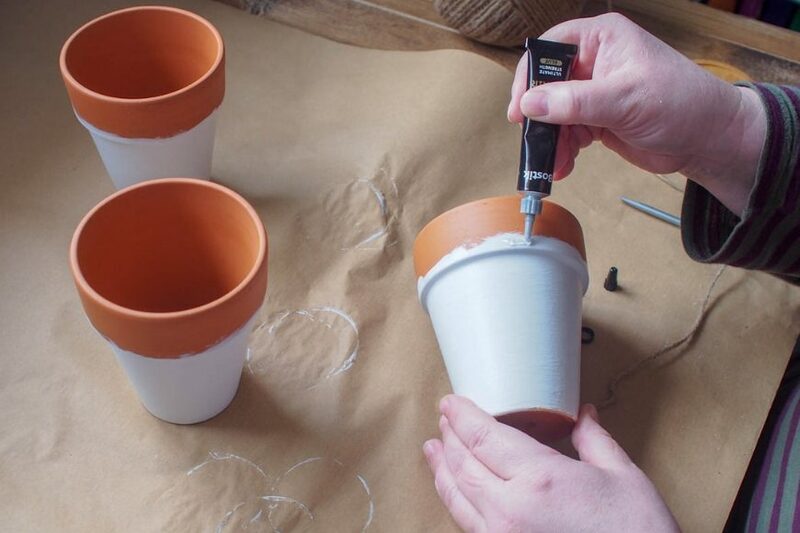 The Bostik Power Repair is perfect for this as it is weatherproof too, so it doesn’t matter if it gets wet when you are watering or you use the pots outside. 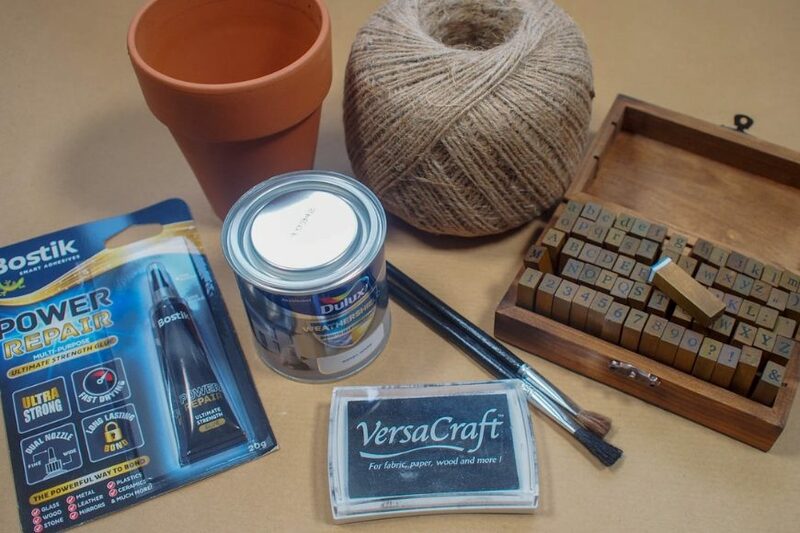 However, we have used tester emulsion before or even acrylic paint. 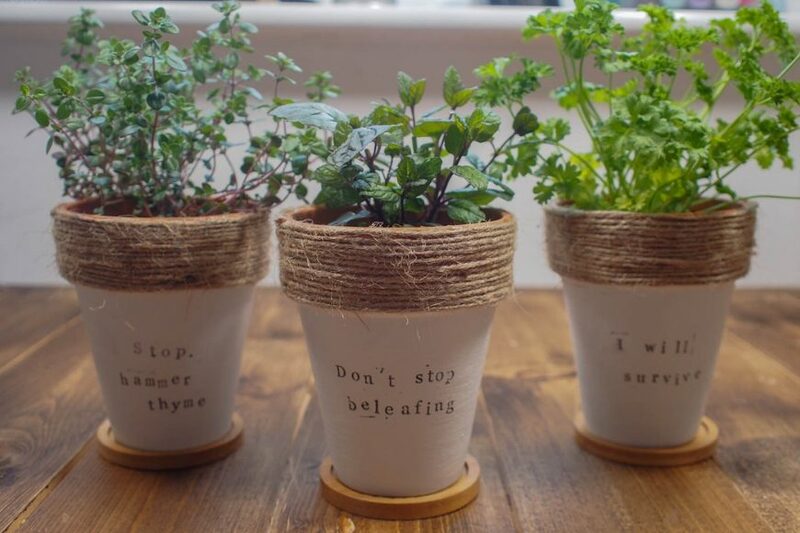 Now you can add your plant or herb puns. 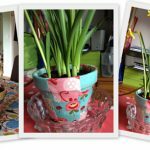 I used a small set of alphabet stamps and a solvent based stamp as it is water resisitant when dry. 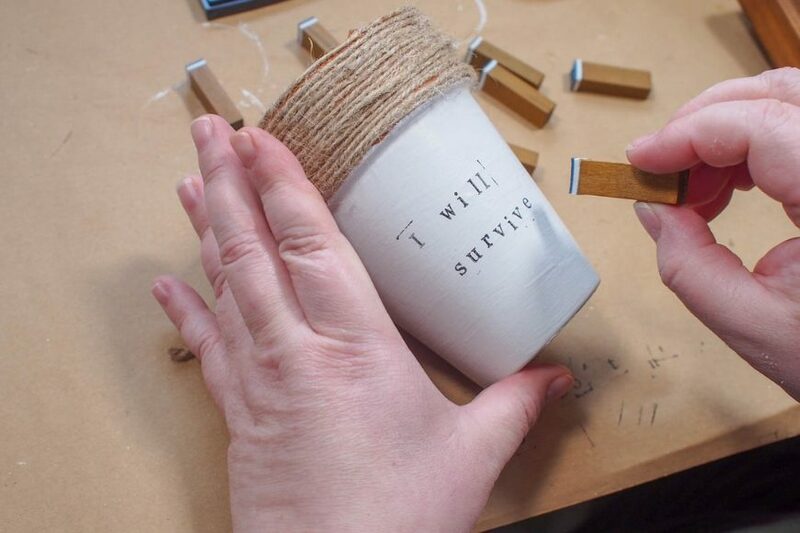 It does take a while to set so make sure you let it dry between stamping each letter so you do not smudge it with your fingers. 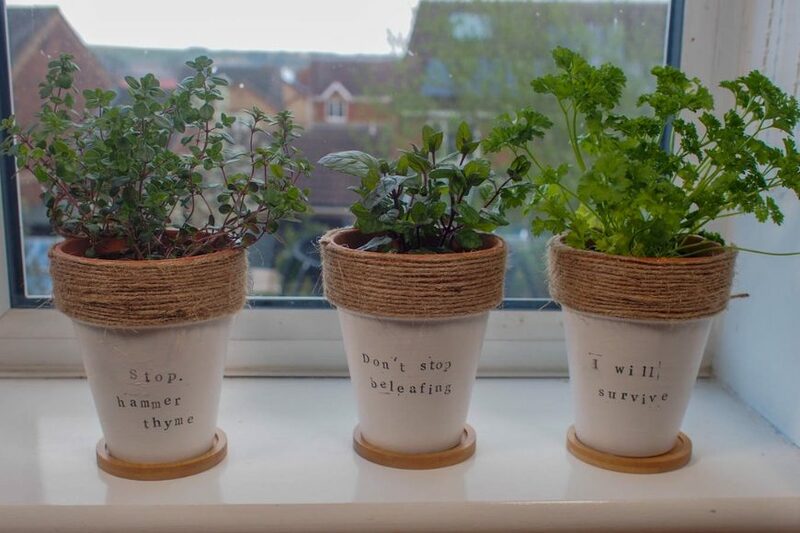 Add your herbs. It really is that simple. 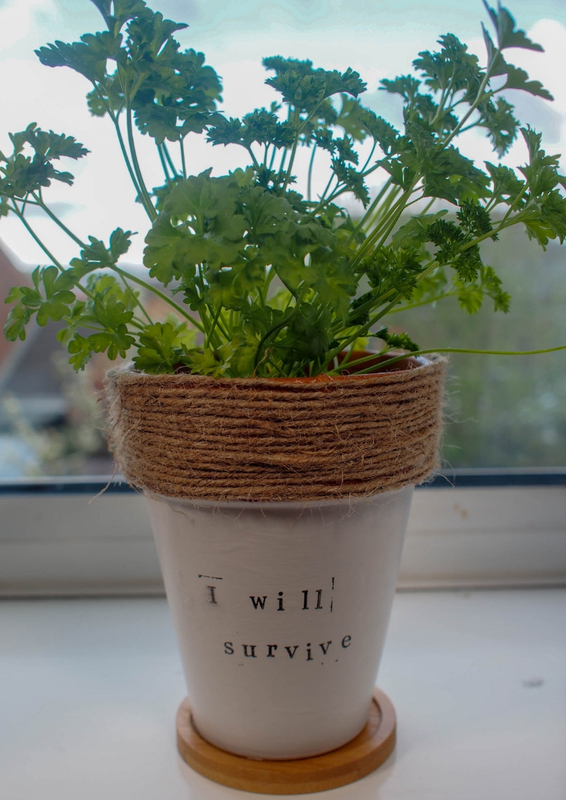 I love how inexpensive this DIY turned out to be. 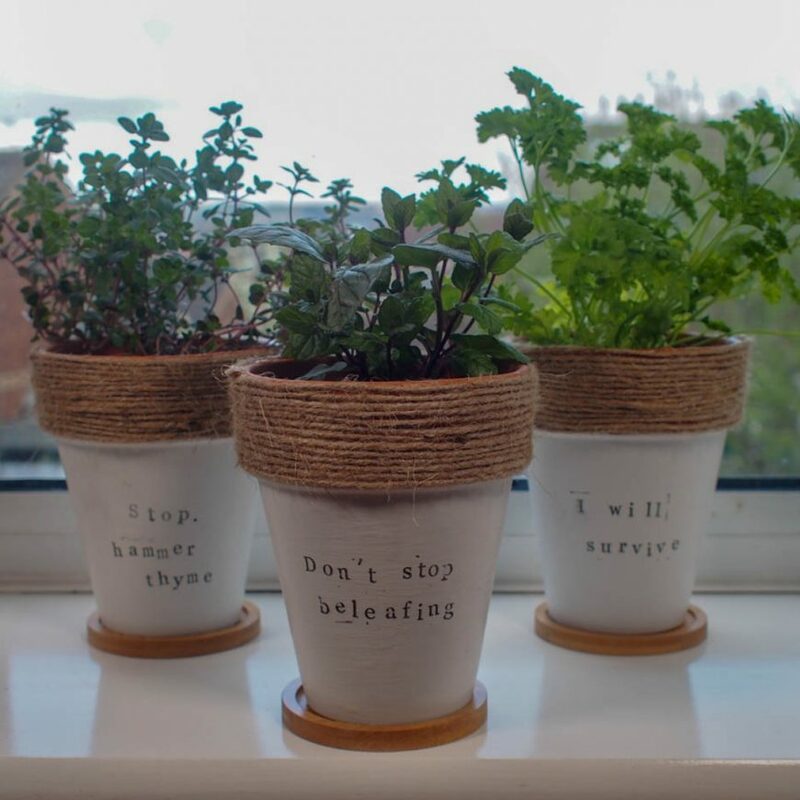 The pots were a pound each, the glue around £7, the paint £4 new and the jute around a pound (it was from our garden shed)! 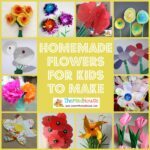 Plus I have loads of paint, glue and twine left to make many more. So don’t be supprised if everyome gets these as gifts for the next year or so. 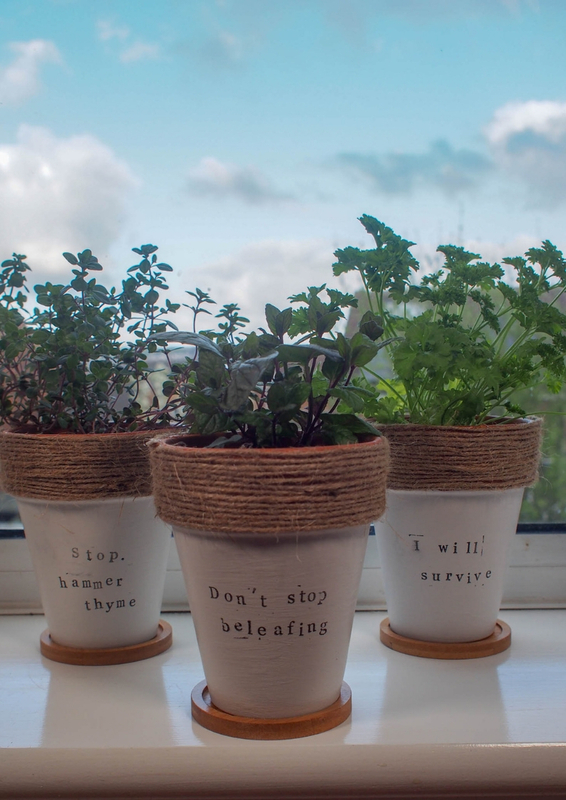 I now have so many plant puns that I want to use on pots. 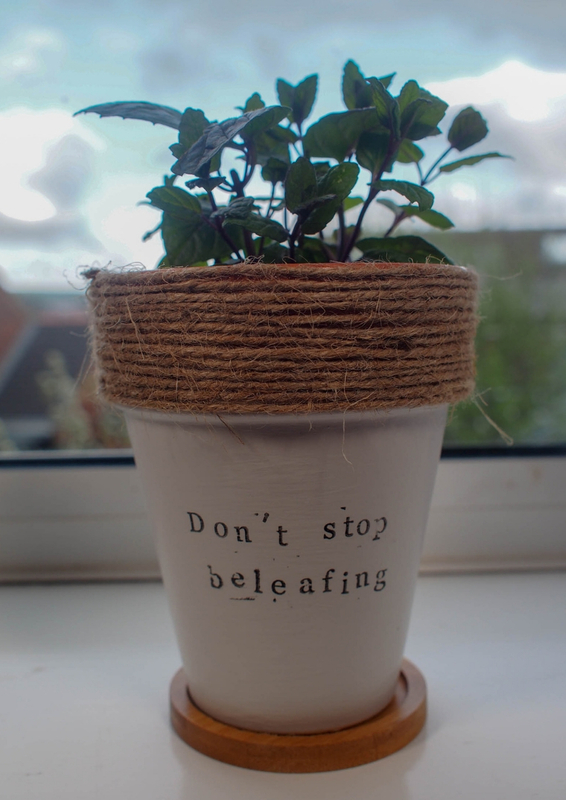 If you like this make sure you check out our other plant pot crafts including patchwork pots and polka dot plant pots.